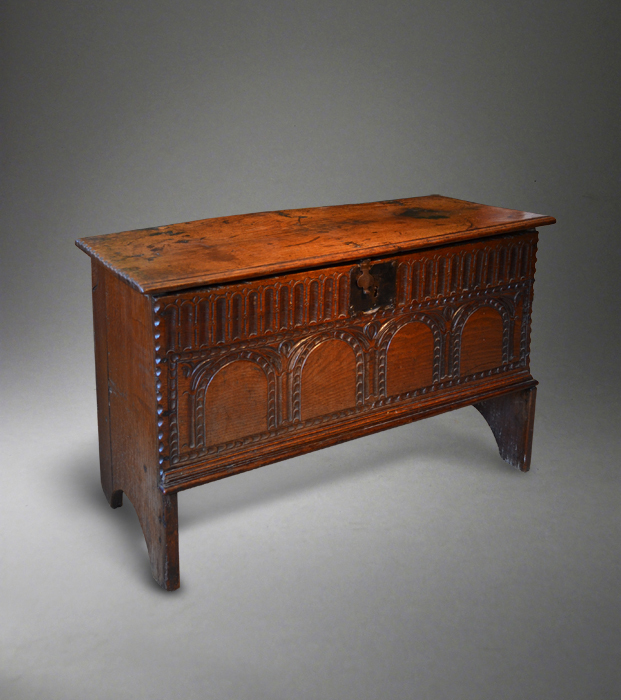 Suffolk House Antiques | Two pieces of 17th century oak furniture. 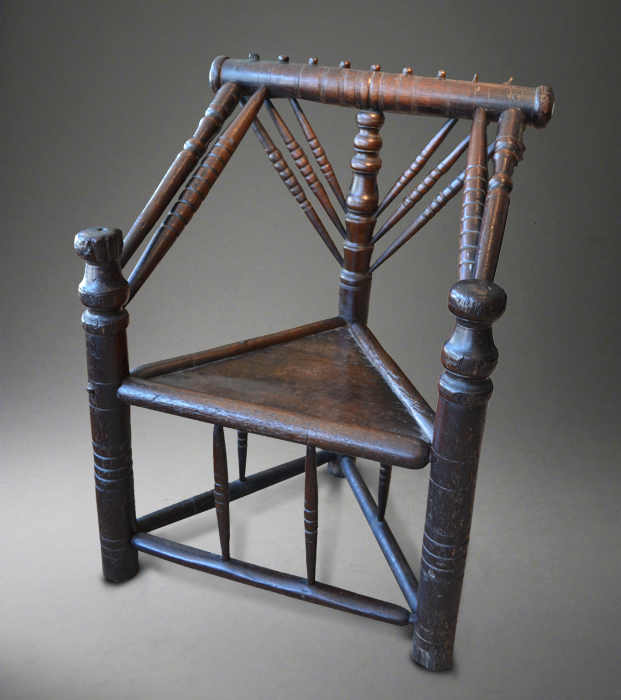 TWO PIECES OF 17TH CENTURY OAK FURNITURE. following on from a very successful summer Selling Exhibition, I am out and about trying to find interesting stock to replace the 35 pieces of furniture sold in the exhibition. Illustrated here are two pieces from the Charles I period - a rare turned armchair in untouched condition and a boarded chest with a fine carved front. Full details of these and other additions to my stock can be found under the appropriate headings.